Two (identical) maple standard twin beds with attached, heavy steel hardware allowing quick assembly. Purchased by grandparents sometime prior to 1936. Good shape but to look perfect, will require refinishing (never done before). My grandparents purchased in Ohio prior to 1936. Used by my family since then... with me since 1940's. You have a pair of American Colonial Revival maple short-post twin beds, possibly made at the time your grandparents acquired them in the 1930s. 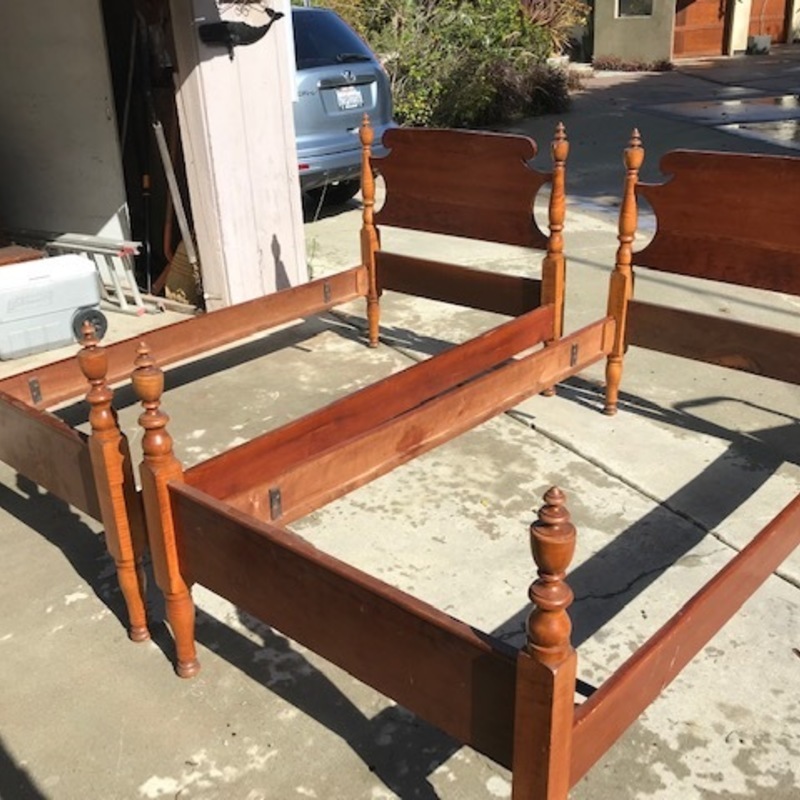 Like the other pair of beds you have submitted photographs of, this pair can be refinished without diminishing value and an improved appearance may increase their value. Additionally, they can be used without diminishing their value. I hope this information has been useful to you; please let me know if you require additional information. Thank you again for using Mearto.